On the 14th, 15th and 16th December 2012, Holland’s longest running music festival will team up with South American local partners Streetmachine for the second edition of Mysteryland Chile. 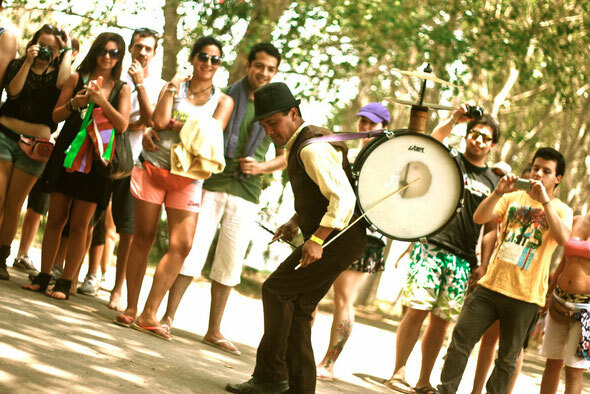 Set in the spectacular town of Mostazal – a 45-minute drive from Chile’s capital Santiago – this December will see thousands of revelers make their way to the beautiful Hacienda Picarquin. Mysteryland Chile combines impressive, locally sourced structures, high-tech Mysteryland production with Streetmachine’s indigenous knowledge, expertise and the iconic ruggedness of the Chilean desert landscape. With new stages added to the eight already in place from last year, Mysteryland Chile 2012 will also offer a far greater variety of musical performances, to match the vast range of artistic shows and sensory experiences for which Mysteryland are famed for. In addition to this, and due to the number of visitors to last year’s South American EDM haven, an extra seven hectares will be set aside for the camping area! Tickets for Mysteryland 2012 will go on sale on August 13th through Puntoticket and at the Streetmachine store. The first promotional sale will be exclusive for Entel customers. More information on prices, discounts and more, will be available very soon on Mysteryland.cl and Streetmachine.cl. Limited tickets are also still available for Mysteryland’s flagship event in Holland, which takes place just outside of Amsterdam on Saturday 25th August. Check www.mysteryland.com/en for more info.